A true fund accounting system, MIP Cloud enables nonprofit organizations and municipalities to boost fiscal stability and manage ever-increasing financial complexities with ease and confidence. By combining the time-tested MIP platform with a modern, yet familiar user experience, powerful dashboard tools, and seamless integration with other mission-critical systems, MIP Advance delivers everything you need to track, report and manage finances according to your unique revenue sources. Its flexibility enables you to serve your organization: today, tomorrow and beyond. Using rudimentary tools to achieve complex nonprofit and government accounting functionality can open the door to costly errors. You need a true fund accounting™ system like Abila MIP Advance, built by and for nonprofit and government financial professionals just like you. Rich History – MIP Advance™ brings MIP Fund Accounting™, revered for more than 30 years as the gold standard in true fund accounting™, to the cloud. Worry-Free, Cloud-Based Technology – Maintenance, backups, and iron-clad security are additionally baked in. Flex and Scale – MIP Advance™ can flex and grow alongside your organization, regardless of complexity and needs. Anytime Access – The system is also a fully-integrated, fully-inclusive cloud suite that provides anytime/anywhere access to important data and reports. 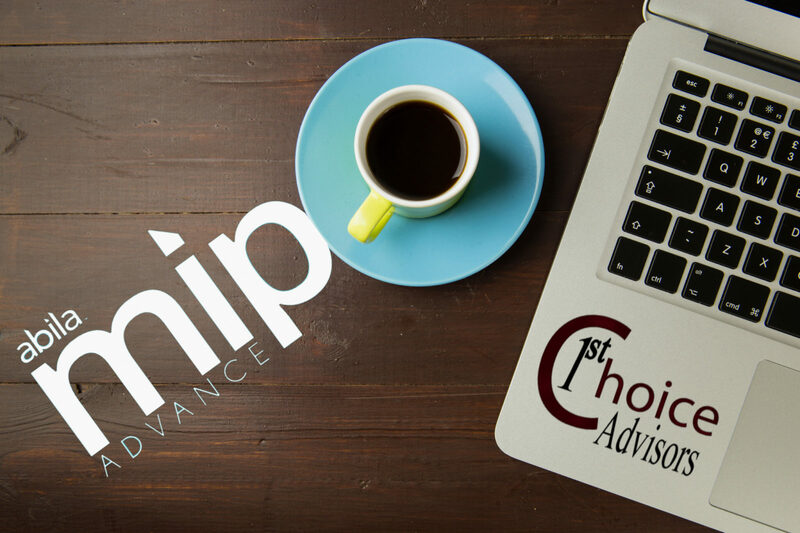 1st Choice Advisors is a Select Business Partner for Community Brands products and services. Our consultants also have over 30 years of experience working with nonprofits; real-world experience with a variety of different types of fundraising needs and requirements as a result. We are rigorously training on MIP products because we spend up to 90 hours each year reviewing new functionality and training procedures. We are your go-to for service, and we also provide user groups, both online and in our offices. All things considered, your satisfaction and ability to get results is our main goal!